fafda recipe | fafda gathiya recipe | how to make gujarati fafda with detailed photo and video recipe. 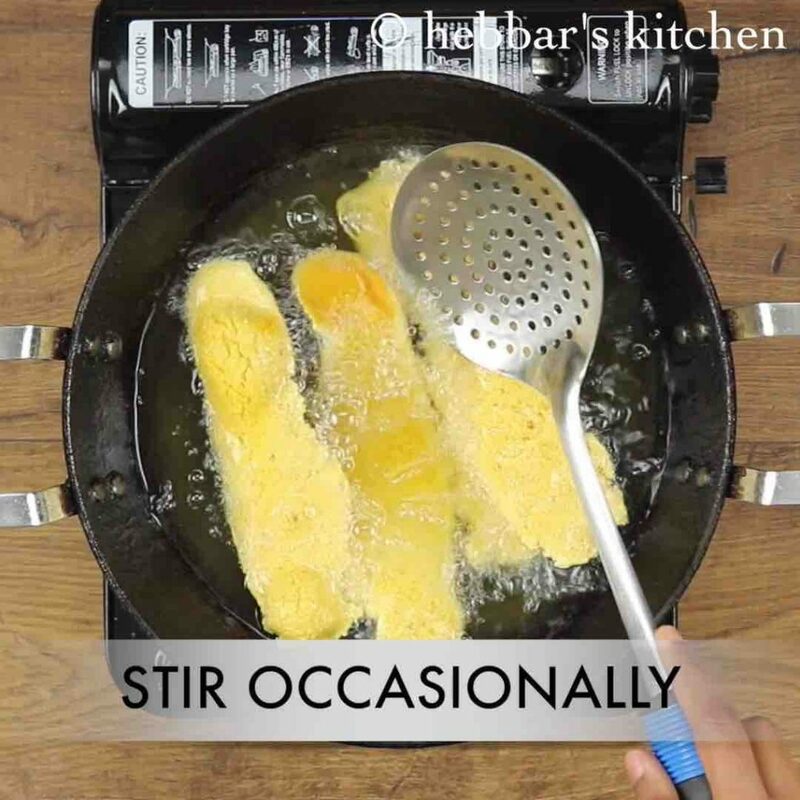 basically a deep fried crispy snack which is typically enjoyed with jalebi and mainly served for breakfast or for evening snack. 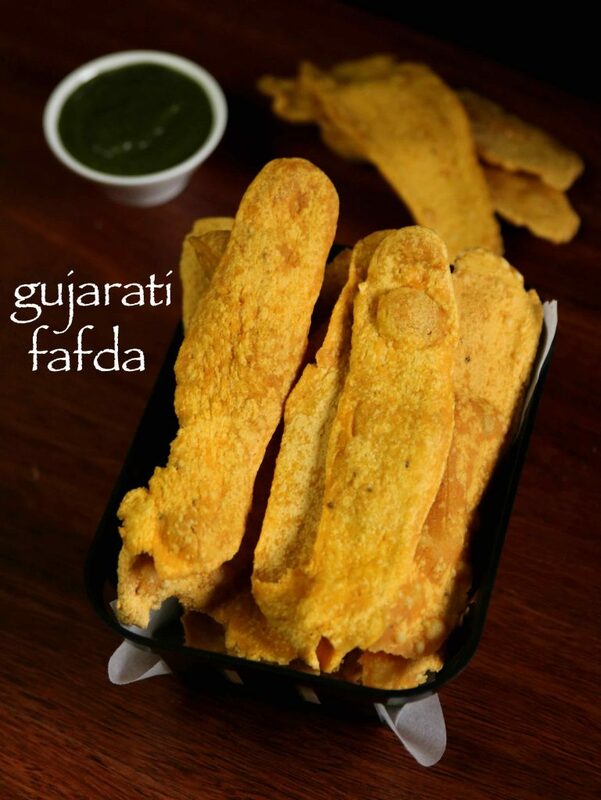 like any other gujarati snack even this delicious tea time snack is prepared from chickpea flour or besan flour. fafda recipe | fafda gathiya recipe | how to make gujarati fafda with step by step photo and video recipe. snack or farsan is very important part of gujarati cuisine or gujarati snacks. farsan is a broad category of snacks specifically prepared from besan in which fafda recipe is highly popular. more commonly the snacks are prepared on special occasions or festivals specifically to please the guests, and also enjoyed as evening time snack with tea. i have not posted much gujarati cusine recipes, but i was receiving several recipes requests especially on fafada and farsan recipes. to be honest, gujarati cuisine is my husband’s favourite recipe and according to him, i do not prepare great gujarati recipes. perhaps he could be true as i personally do not like to have sweet in all my recipes and curries. having said that i my personal favourite chat recipe is dabeli and i enjoy it with hot and sweet tasty mixture. 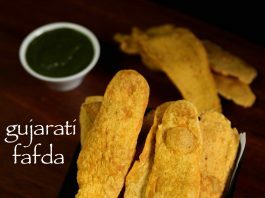 even with this gujarati fafda recipe i personally like it with spicy green chutney recipe, but my husband enjoys it with jalebi. furthermore, some important and critical steps to make crispy and tasty gujarati fafda recipe. firstly, i have used fine besan and it works great for fafda recipe or any farsan recipes. 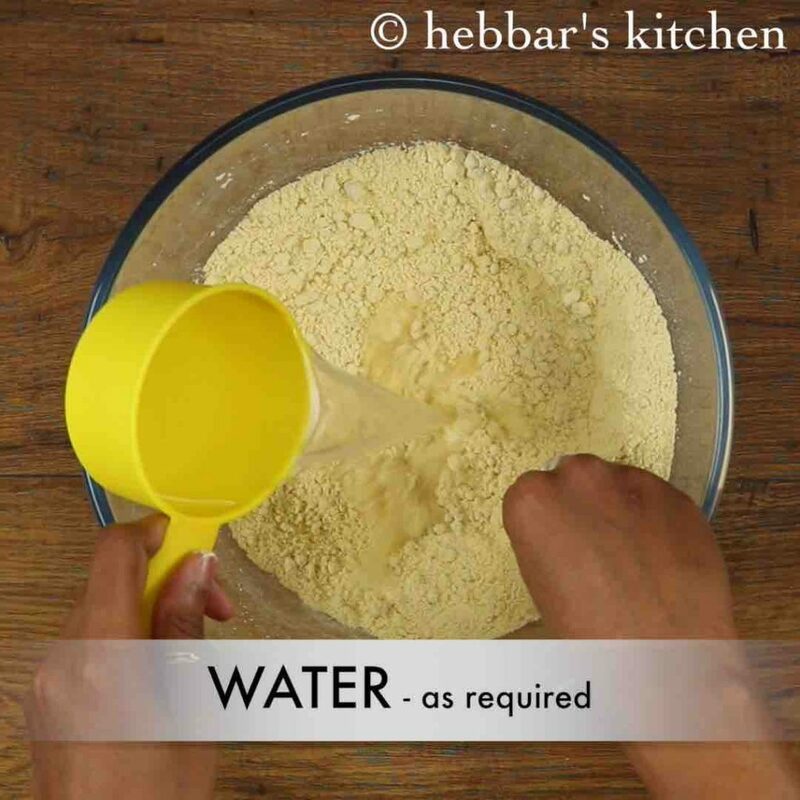 in addition the besan dough has to be kneaded to sticky and smooth so that it can be spread smoothly. secondly, while stretching the fafda, be gentle and do not add extra pressure, otherwise it would stick to bottom. lastly, i have added baking soda to get the fluffy fafda. alternatively, papad kharo can also be added to get the authentic taste. 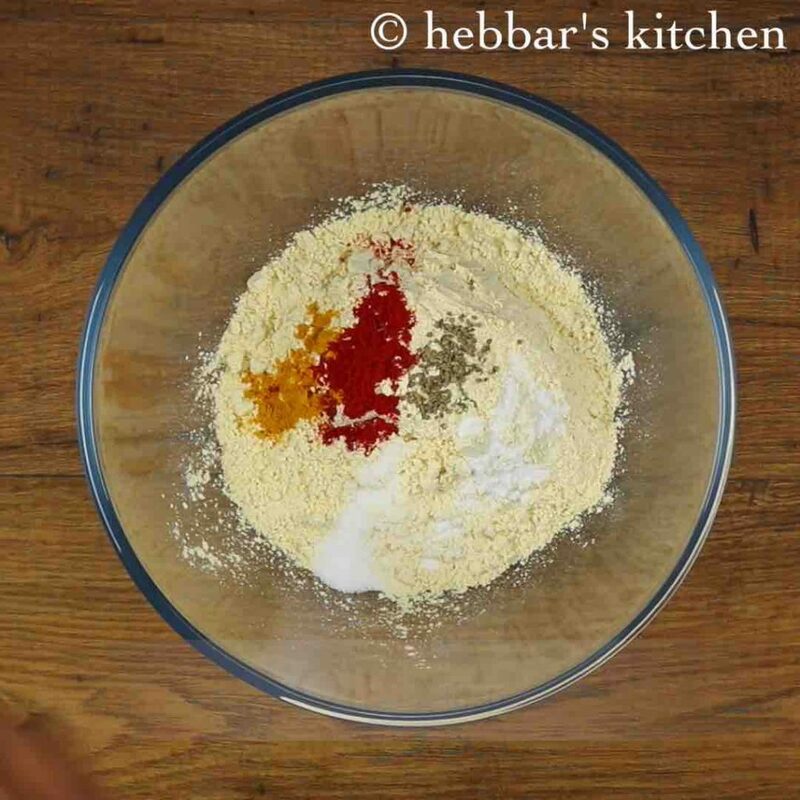 firstly, in a large mixing bowl add in 2 cups besan, ¼ tsp turmeric, ½ tsp chilli powder, ¼ tsp ajwain, ¼ tsp baking soda / papad kharo and salt to taste. 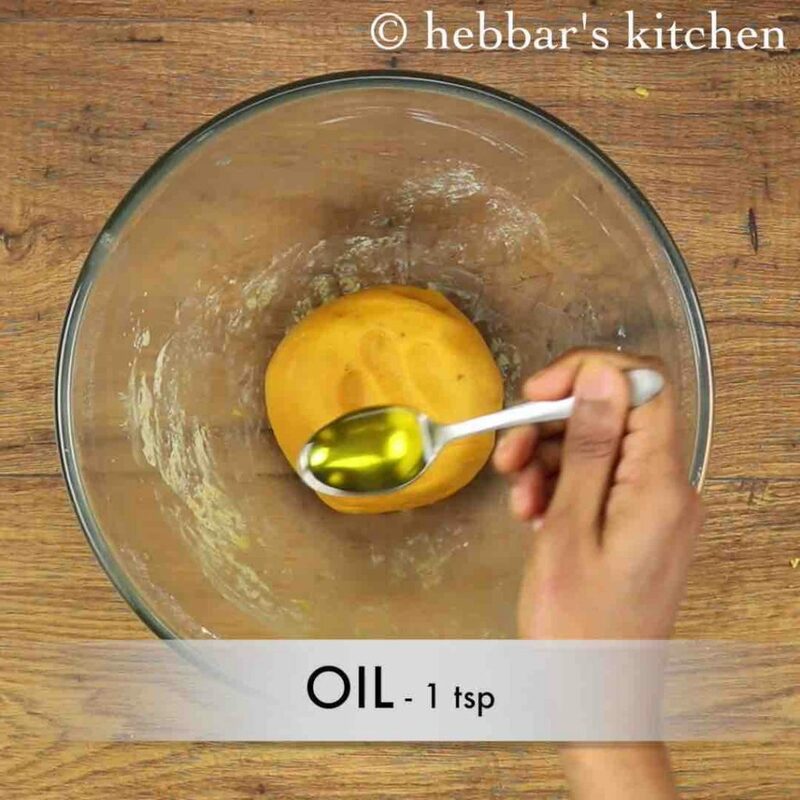 also add 2 tbsp oil and mix well. further add warm water as required and knead. 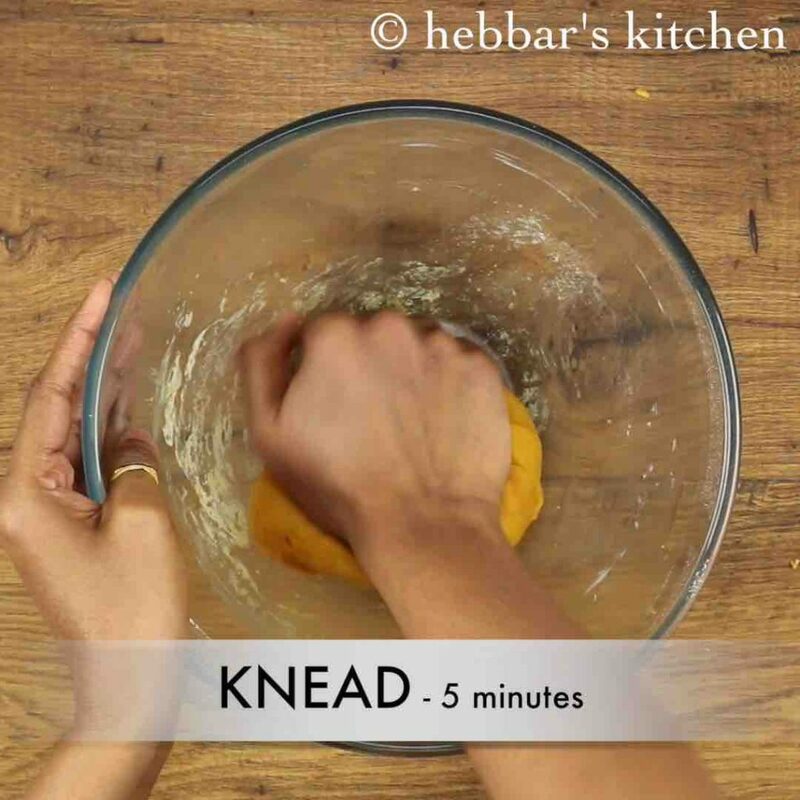 knead for 5 minutes or till the dough turns soft and smooth. 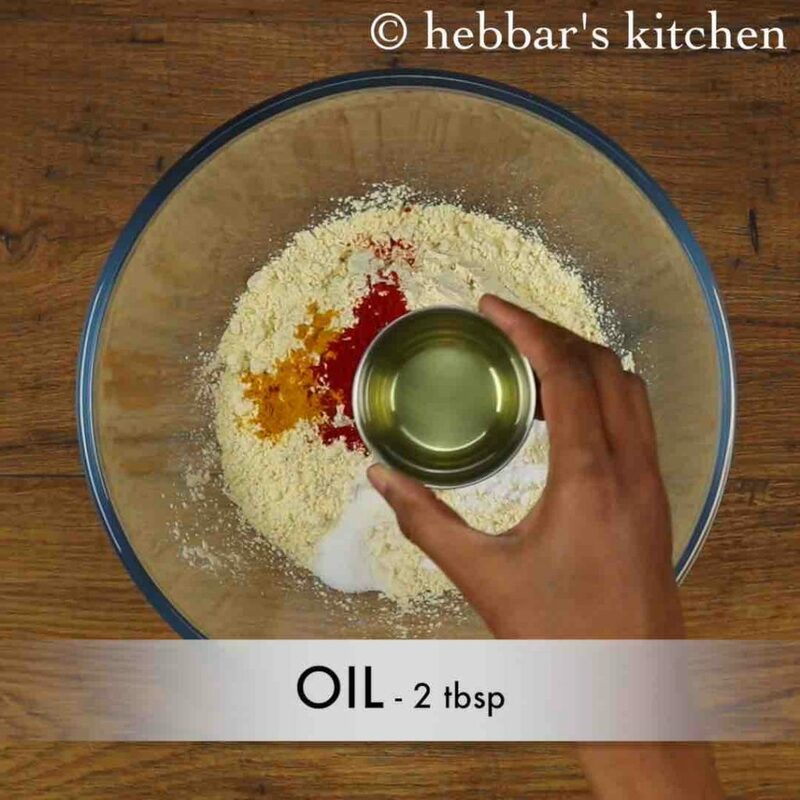 add a tsp oil and coat the dough well. knead again for a minute making sure the dough is soft. 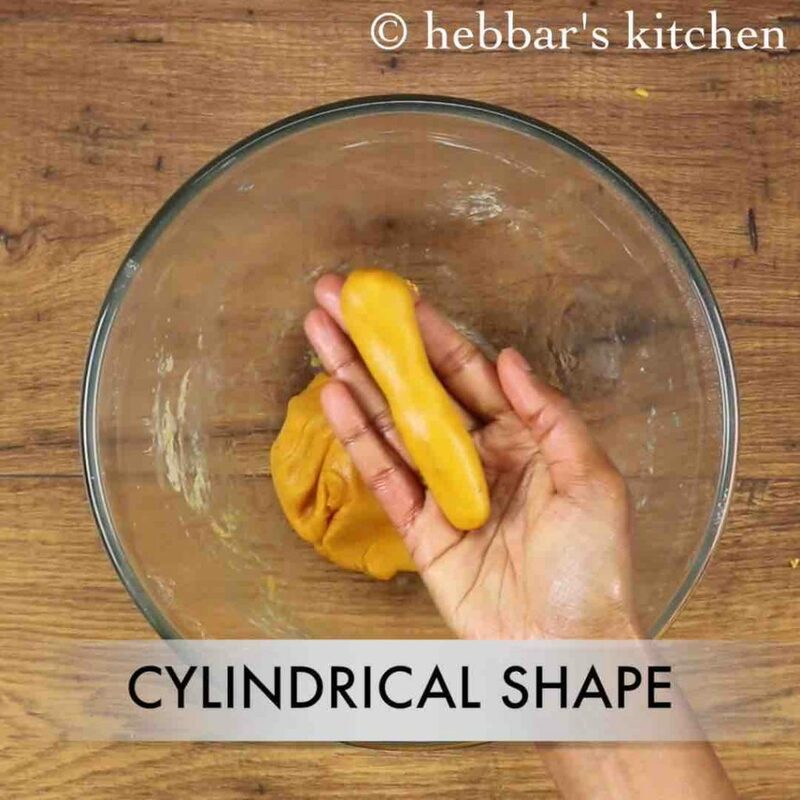 pinch a ball sized dough and make a cylindrical shape. 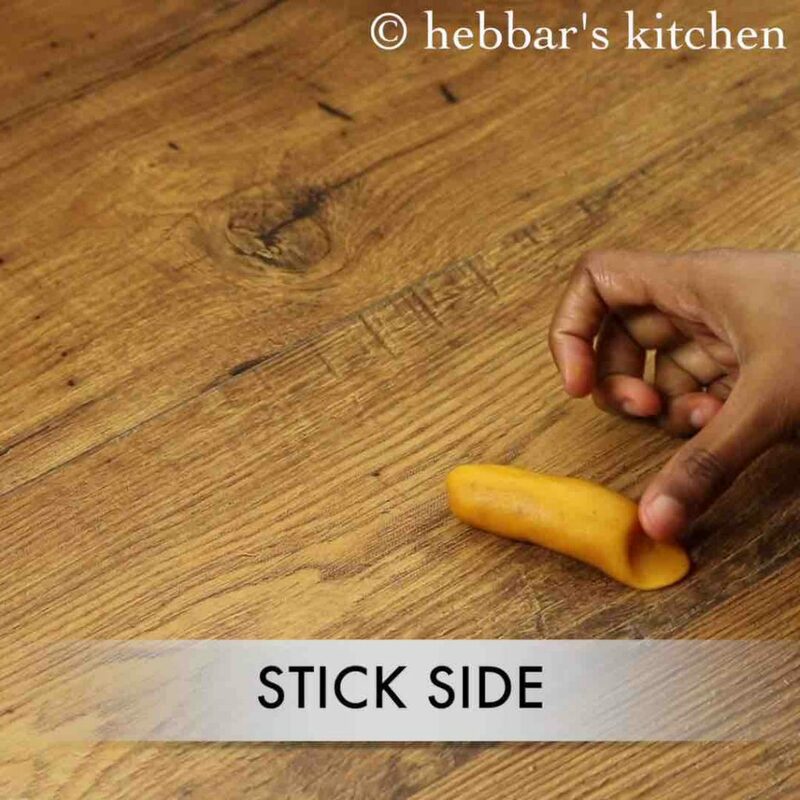 on a wooden board place the dough and stick one side. 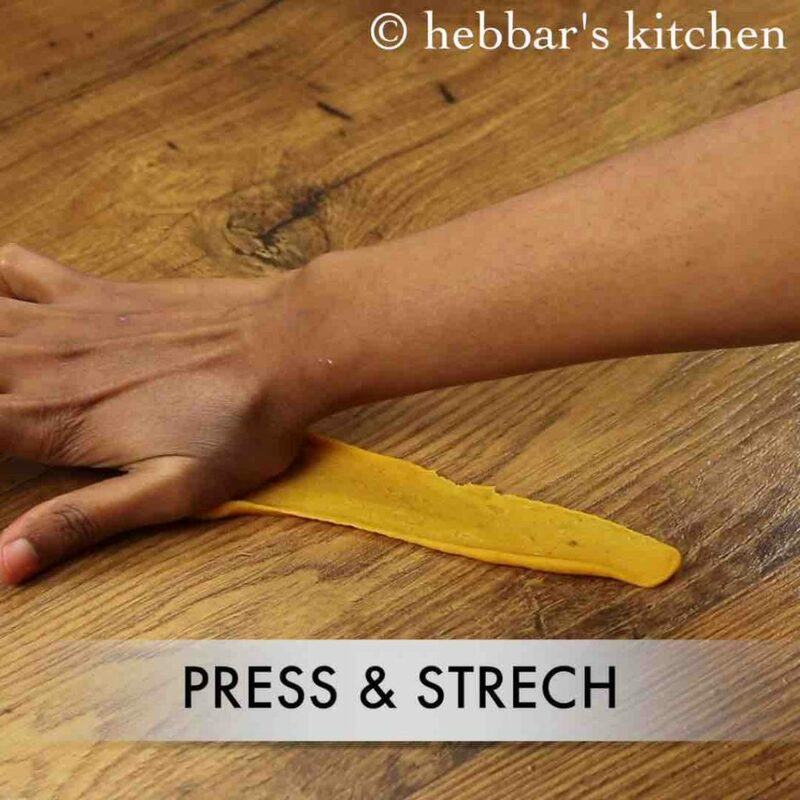 press and stretch it thin with the help of palms in forward direction. 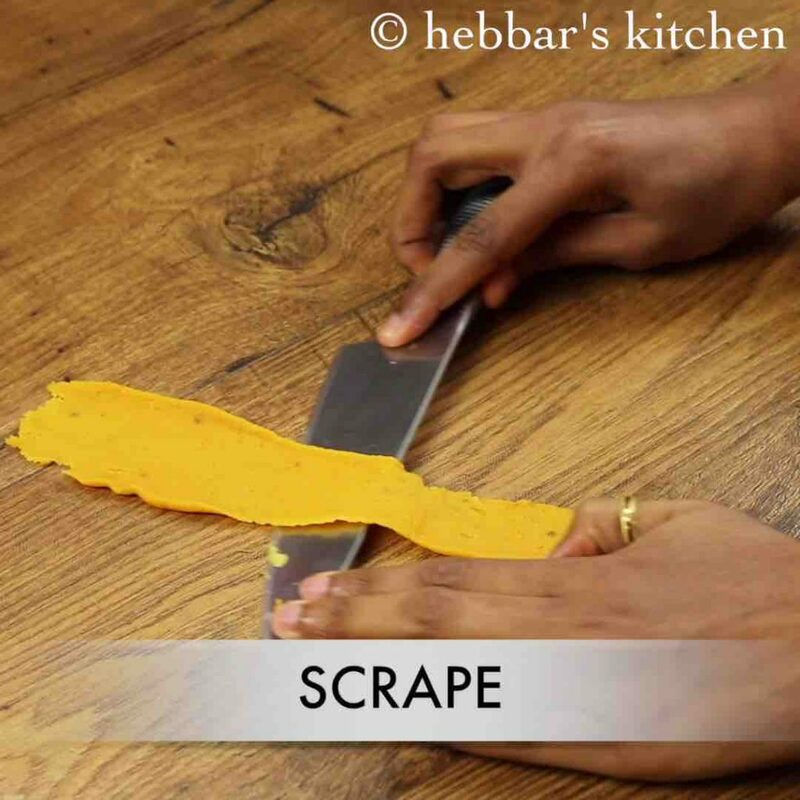 scrape off with the help of knife without damaging the fafda. 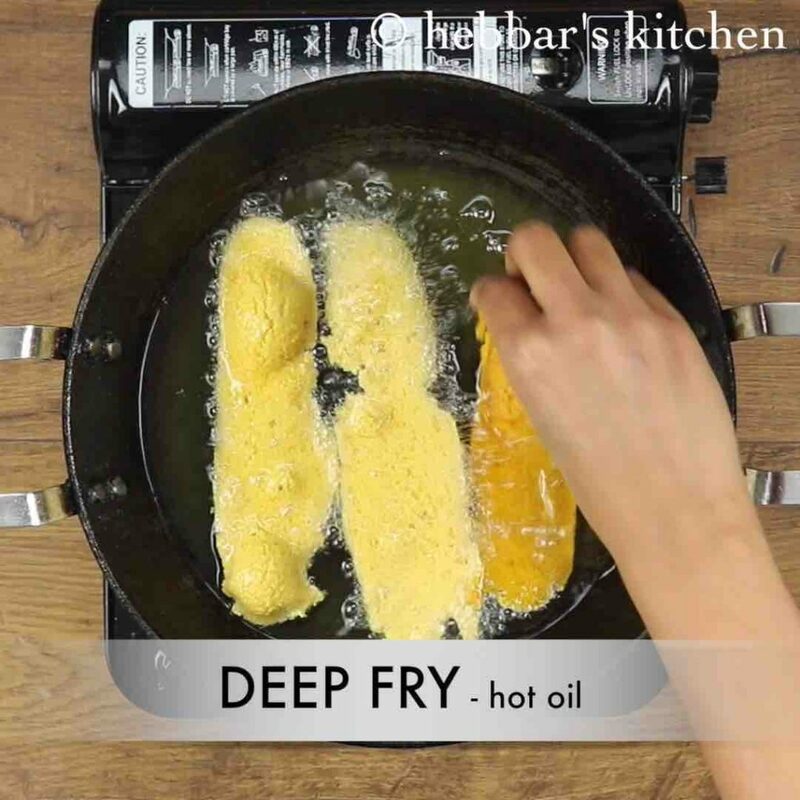 now deep fry in hot oil. do not over crowd the fafdas as they wont cook well. 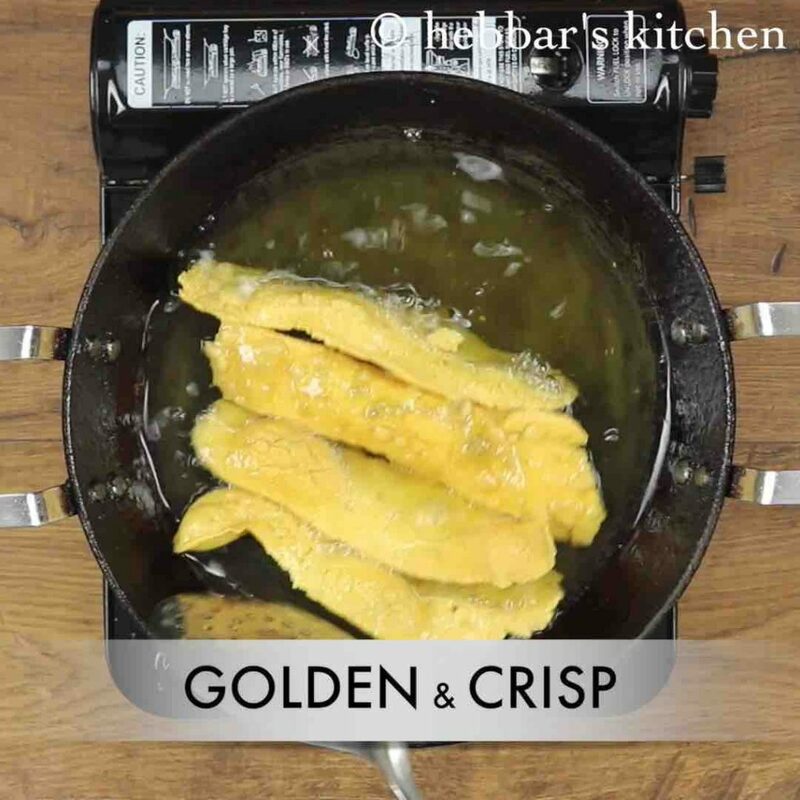 fry fafdas for a minute or two, till they turn golden and crispy. 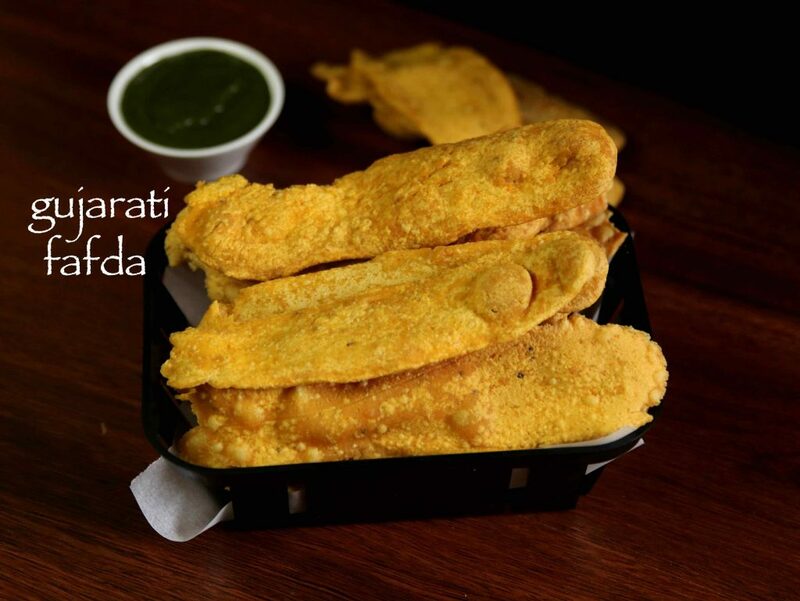 finally, serve gujarati fafda with green chutney or kadi. 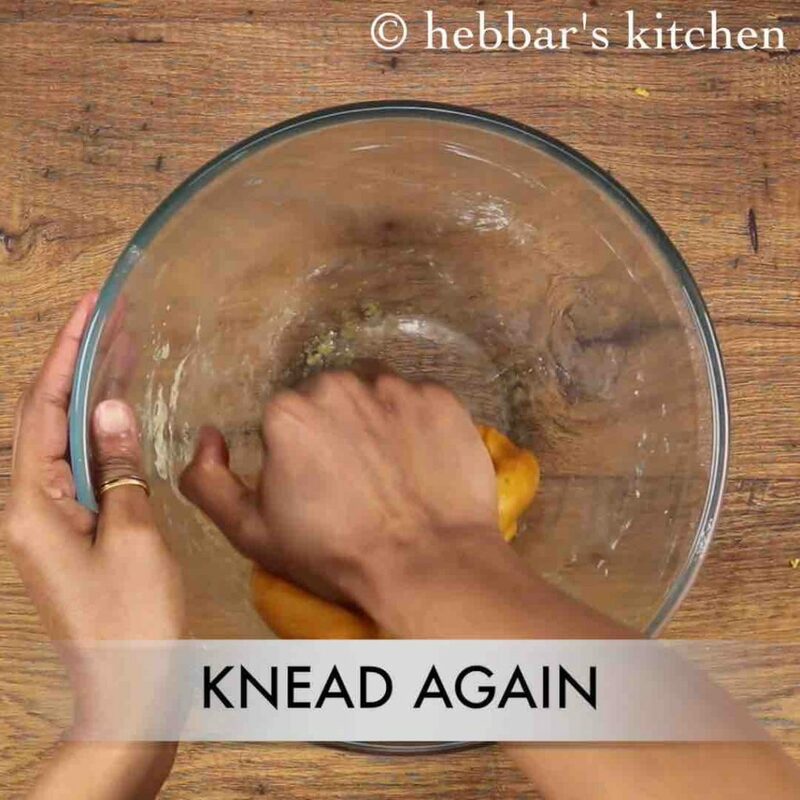 firstly, knead the besan dough really smooth and soft. 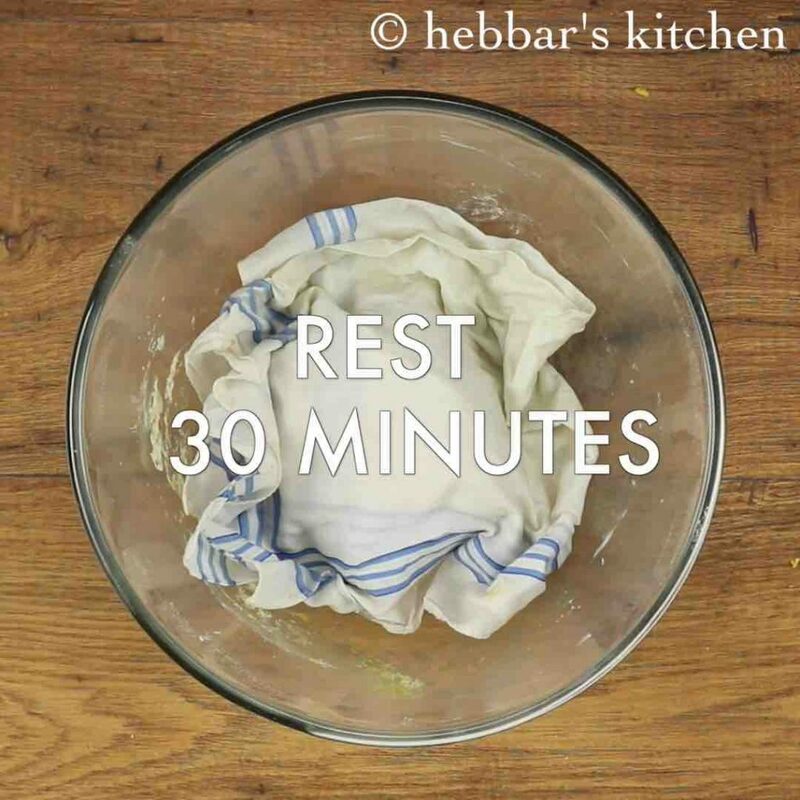 also make sure to rest the dough for atleast 30 minutes, else the fafda wont turn crispy. addiotnally, add black pepper for more flavours. finally, gujarati fafda can be stored in airtight container for a week and served as required. Nice and easy . But it needs practice. It sticks to the board whenever I try to make it. Wow! So easy.. Love your app.. Can you also do a tutorial for making Cheesy Nachos??? ?